NASA’s Dawn spacecraft took a series of photographs of the dwarf planet Ceres this past month from a distance of 13,600 kilometers. This analglyph – which is the name given to the stereoscopic 3D image – was part of the set of photos. 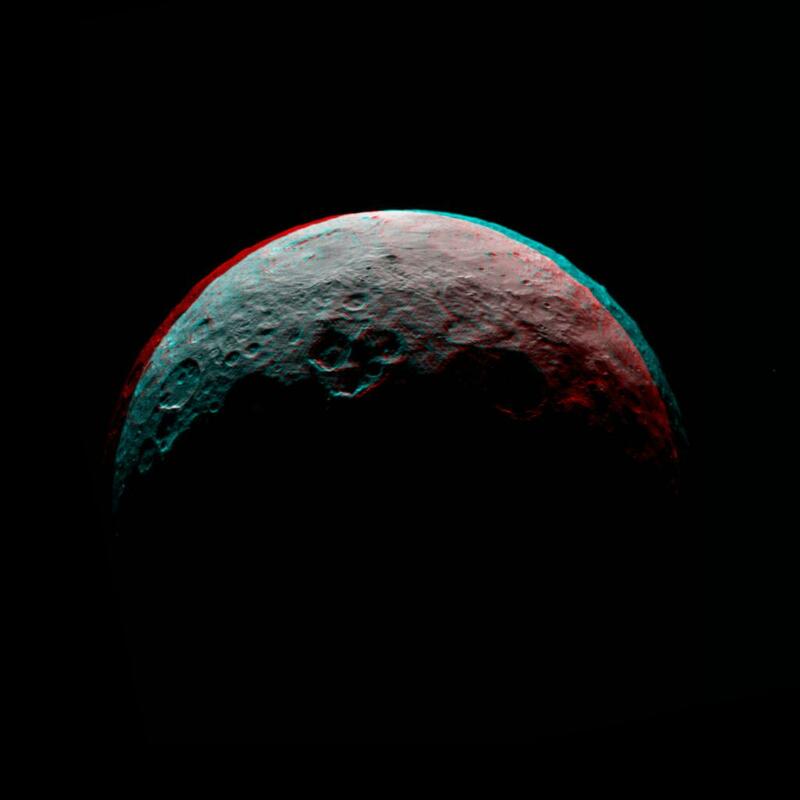 The 3D image of Ceres was taken by Dawn’s framing camera using red and cyan filters (one for each eye) can truly be appreciated by anyone that has a pair of basic 3D glasses, to see the stereoscopic image of Ceres with its craters and other surface features.